As we saw in the first part, agricultural drains are being installed in the intermediate gravel layer on the KAIRA site. There are multiple layers in the ground works. There is the initial rocky bed, which is the spoil from roadworks. It is good that the site can be deployed on what would otherwise be waste land. This base layer has been flattened and the intermediate gravel layer has now gone in. This gravel layer is very porous. A look at the photograph reporting on the levelled surface shows the size of the gravel. This size is pretty uniform, so that means there are not a lot of small particles to fill the gaps. It is into this layer that the drain pipes are put. 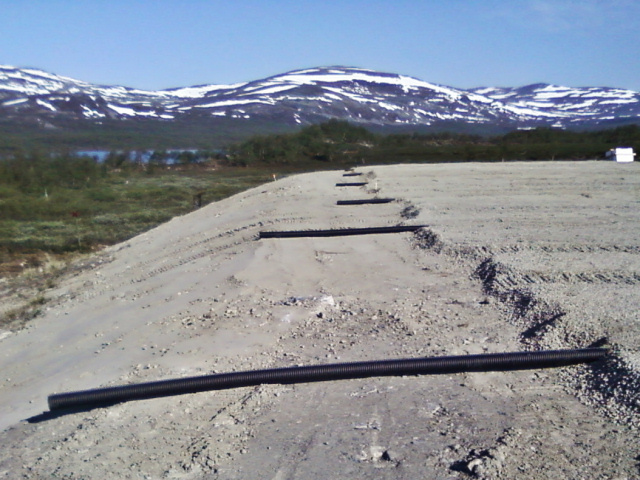 These pipes will assist carrying away surplus water that accumulates in this layer. The pipes themselves are 100mm in diameter. There are a number of them scattered across the array, and draining to the southwest, where the water will be distributed over the embankment (thus minimising the chance of erosion. 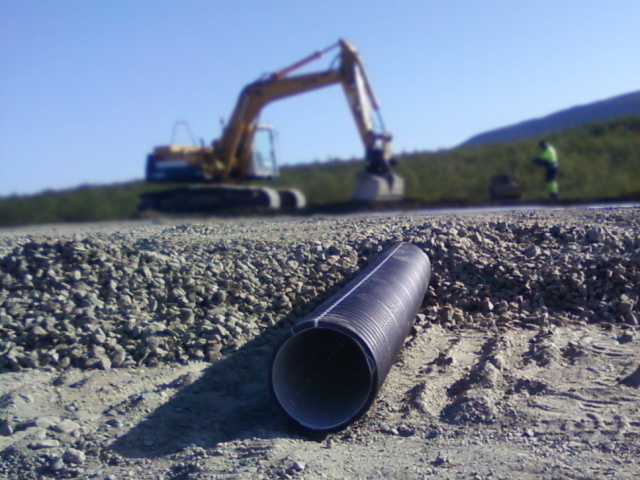 These photographs show the final stages of the installation of the drainage pipes. 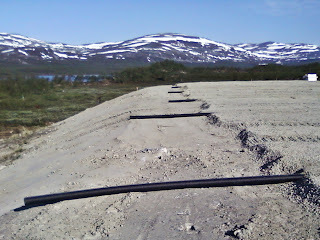 When completed, and the next layer of surface gravel goes down, then it will be difficult to know they are even there.